Abstract: Honey bees and humans have had a relationship for over 10000 years, with organized beekeeping appearing in ancient Egypt and becoming widespread by 1500 BC. Early on, beeswax was used for waterproofing, adhesion, preservation, and in many art forms - including cosmetics. Today beeswax has been replaced in many industrial applications and processes, but its presence in the cosmetic world persists, withstanding the tests of time, market fluctuations, natural tragedies, and controversy. We will demonstrate why beeswax is still an indispensable raw material in the cosmetic industry, and what benefits it can offer in different areas of application. Whether your goal is to create a natural cosmetic product, tell a compelling marketing story or discover a unique chemistry, beeswax is worth exploring. Bio: Belén M. Lemieux is the Principal Research & Development Scientist at Koster Keunen, Inc. in Watertown, CT. Originally from Madrid, she earned an M. S. in Organic Chemistry from the University of Salamanca. She began her career in the construction materials industry until discovering a passion for the science of cosmetic formulations and the artistic angle involved. Ms. Lemieux has been an active product developer and researcher for over twelve years, recently focusing on beeswax and other waxes as cosmetic raw materials. Her most recent paper “To bee or not to bee” was published in HAPPI magazine, and her formulations have been featured in numerous industry publications and perform as instructive materials for Koster Keunen worldwide. Abstract- Today, more than ever, consumers have a growing awareness of the aggressive, environmental factors that can damage hair and negatively affect the hair’s appearance and feel. Repeated exposure to pollution and UV radiation, harsh coloring and shaping treatments, daily wear-and-tear, and aging can all leave the hair looking frayed and dull and feeling rough and brittle. Consumers want to protect and repair their hair to keep it looking and feeling sleek, strong, soft, and healthy. The market is thirsty for hair products that provide superior protection, correct damage from harsh treatments, prevent or reverse the signs of hair aging, and restore the hair to a healthy and youthful state. Silicones are an incredibly diverse group of molecules with uses that improve almost every facet of daily life. Among some of silicones’ most exciting qualities are the unique and various ways that it can benefit hair. Today’s newest generation of silicones for Hair Care are truly smart materials that interact with the hair’s surface to achieve remarkable performance even at low use levels. This talk will focus on novel silicones that are precisely functionalized to meet the hair-care needs of the modern consumer. Advanced silicones improve the hair by providing film-forming properties that protect the cuticle, conditioners that specifically target damaged hair, and even reactive materials that can crosslink in-situ to provide durable hydrophobicity. Bio- Dave Clay is an Application Development Scientist - Marketing for Momentive’s North American Personal Care Division. Dave’s primary focus is to build and strengthen Momentive’s relationships with our Cosmetic, Personal Care, and Home Care customers. His main duties are developing new and exciting formulations to inspire formulation chemists, troubleshooting technical challenges that clients might face, supporting R&D in the development and promotion of new products, and serving as a technical liaison to current and future customers across North America. Dave joined Momentive in 2014 in the R&D department as a Product Development Chemist for Personal Care specializing in the synthesis and application of novel materials. Dave has been in his current role since 2017 and has worked on a broad range of projects covering ABA/ABn­ copolymers, gels, functional fluids, resins, and particles. His current accounts are located primarily along the East Coast and throughout California and the Mountain West. Prior to Momentive, Dave was a research scientist in the medical device industry. Dave hails from Arkansas where he earned a BA in Biology from Hendrix College and a PhD in Chemistry from the University of Arkansas. Dave’s graduate work was in Organic Chemistry under the direction of Professor Matt McIntosh, where he focused on the total synthesis of natural molecules with a special interest in the development and application of novel, asymmetric, organic transformations. Dave enjoys cooking, gardening, traveling, reading, yelling at people who blow through the stop sign in front of his house, and spending time with his family. Please join us on Tuesday, January 15th, for a talk on ancient viruses and they influence humanity by Dr. Paul Lawrence. Abstract: Viruses represent one of four different varieties of pathogens that are culprits of disease on this planet. They are uniquely adapted to parasitize the protein synthesis machinery of an infected cell. However, viruses are more than just disease-causing agents to be tackled by modern medicine, they have also been influencing the trajectory of humanity in more ways than just one. This discussion will focus on two distinct groups of “ancient viruses” that have had profound impacts on us as a species and the environment within which we live. The first part will describe endogenous retroviruses that have been modifying our genome and altering our evolution going back to our very distant ancestors. The second half will involve the re-emergence of giant DNA viruses that were frozen in permafrost in a dormant state until global temperature increases started to thaw the ice. The true impact of the resurrection of these incredibly large viruses is a hot topic of debate in the scientific community. And finally, I will conclude with how we have now harnessed viruses such as these for our own benefit in food, pharmaceutical, and cosmetic industries. Bio: Dr. Lawrence received his doctorate in molecular microbiology from Stony Brook University and before that obtained his bachelor of science degree in molecular biology from the University of New Mexico. During his career, he has conducted biological research in academia, industry, and for the United States government. He has conducted vaccine and anti-viral therapeutic research at Brookhaven National Laboratory and at the Plum Island Animal Disease Center. In industry, he has participated in contract biopharmaceutical research and development for the former Collaborative Bioalliance and Dow Chemical. Dr. Lawrence was also the Director of DNA Production for the anti-counterfeiting biotechnology company, Applied DNA Sciences. Currently, he is the Director of Bioscience Research and Product Development for Biocogent. Over the course of his career, Dr. Lawrence has published more than 15 research manuscripts and review articles, more than 25 online science digests, as well as a textbook chapter on the molecular pathogenesis of the one of the world’s most infectious viruses. Please join us Tuesday, November 13th for a lesson on Emulsion Theory by Nickolas Huss of Barnet Products! This meeting is complimentary with pre-registration by Monday, November 10th. Instructor Bio - Nickolas Huss is Vice President of Sales at Barnet Products Corp. with a focus on Asian market trends. Nick routinely makes technical presentations to customers and has spoken at SCC educational events. In addition, he supervises the Barnet application laboratory, where he and his team develop formulating guidelines and novel textures while also providing technical support to customers. Nick currently visits multi-national accounts in the United States and their subsidiaries in Asia and Europe. His responsibilities take him to Japan and China each year for visits with suppliers and customers and for gathering information on current and upcoming trends in these markets. Nick holds a Bachelors of Science Degree in Biological Sciences and Business Management from Charter Oak State University. He has been at Barnet Products for seventeen years and has been an active member of the LISCC for over ten years. He was Chair of the Long Island Society of Cosmetic Chemists in 2016. Nick is happily married to Jennifer. They have four children and two dogs! Please join us October 16th at Zotos for a full day seminar on Polymer Science taught by Michael J. Fevola, Ph.D. Course Abstract - Polymers represent one of the major classes of materials used in cosmetic formulations. There are a wide variety of polymers used in a broad range of functions in this industry and a basic understanding of polymer structure –property relationships is an essential tool for the cosmetic formulator. The course will be pragmatic, but polymer science theory will be woven into the applications. Course participants can expect to emerge from this course with knowledge of some of the polymers used in the industry, the reasons for their specific use in formulation, an introduction to the underlying theory, and information on industry trends with these materials. Instructor Bio - Michael J. Fevola is Vice President, Head of Research & Development at INOLEX, a leading global specialty ingredients company headquartered in Philadelphia, Pennsylvania with locations in ten countries. Previously, Mike was a Research Director & Fellow in the Global Beauty R&D Platforms group, where he led the Sun Care and Body Care Upstream Innovation Platform teams. During his time with J&J Consumer he held positions of increasing responsibility across the R&D organization, beginning as a Staff Scientist with the Technical Assurance/Technical Transfer group, and later with the former Advanced Technologies group. Prior to his work at J&J, Mike held positions on the industrial side with Hoechst Celanese Corp. and National Starch & Chemical Co.
Mike received a Ph.D. in Polymer Science & Engineering from the University of Southern Mississippi for his studies of stimuli-responsive water-soluble polymers, and a B.S. in Chemistry from the University of Delaware. Mike is an inventor on 24 issued U.S. Patents. He is also a coauthor of 15 peer-reviewed articles and book chapters. Mike resides in New Jersey with his wife Beth and two daughters. He enjoys time with his family and being a "dance dad", as well as spending time in the outdoors running, kayaking, rowing and hiking. He often attends live music performances and savors diverse cuisine in the company of good friends. Big thank you to our sponsor for this event!! Bio - Neelam Muizzuddin is operating a consulting company where she offers skin clinical research designing, testing, data mining and training. Neelam obtained a Masters in Microbiology before immigrating to the United States, in 1986, where she started working for Estee Lauder Companies, as a research scientist. Always of a very active and energetic temperament, Neelam obtained her doctorate in biology while working full time. During her thirty plus years at Estee Lauder as a clinical researcher, she developed expertise in skin clinical research and bioengineering and has several publications as book chapters, patents and peer reviewed journals. At present she is President of "Skin Clinical Research Consultants LLC" and Adjunct Professor at SUNY Stony Brook. She is a member of: Society of Investigative Dermatology, Society of Cosmetic Chemists and Dermal Clinical Evaluation Society. She is a member of scientific committee for Society of Bioengineering and Skin, and the Stratum Corneum Society. For the Long Island Chapter of the Society of Cosmetic Chemists she served as secretary in 1997, Chair of Educational Seminar committee in 1998 and 1999, chair of program committee in 1999; at present she is an active member of the educational seminar committee. She is also an instrument rated pilot, an artist and a pastry chef. Big thank you to our sponsor for this month, BCR! Please join us on Tuesday, April 10th, to learn about sustainable product development from Giorgio Dell'Acqua . Abstract- Sustainable development is development that meets the needs of the present without compromising the ability of future generations to meet their own needs. What is the route to follow to achieve the goal of sustainable development when we develop a product? Who is deciding the timing, the rules, and the inputs for the sustainable practice? Who is measuring the outcome? And how do we measure it? The talk will focus on the relationship between profit and social sustainability and explains the complex framework around it. Bio-Giorgio Dell’Acqua, PhD, is a scientist and consultant for the personal care industry. Dr Dell’Acqua graduated from The University of Rome, Italy and worked for 15 years as an investigator in applied medical research in Universities such as Mount Sinai Medical School in New York and Harvard Medical School in Boston, USA. He has spent the last 17 years as an executive and cosmetic scientist in the personal care industry. He is specialized in skin and hair care ingredients, finished product development and technical marketing. He has covered multiple roles as a manager and director in different companies specialized in active ingredients and product development. He has helped bring more than 200 successful active ingredients and finished products to market and has authored more than 60 publications in medicine and cosmetic science. In the last 10 years he has been writing and lecturing on natural cosmetic ingredients, sustainable supply chain, and helped sourcing, developing and bringing to market many natural ingredients. He is an award winning speaker on natural ingredients, a regular columnist on sustainable cosmetic science and an adjunct professor in Cosmetic Science at Fairleigh Dickinson University. He is also the chair of the Scientific Affair Committee for the New York Society of Cosmetic Chemists and its scientific blogger. Please join us on Tuesday, March 20th, for a talk from Joe Cincotta of Federici Brands. Where can chemists find inspiration to develop successful hair care products? As formulating chemists, where can we go for ideas for new product development? Traditional sources yield boring me-too products. Marketing expects multifunctional benefits and powerful claims from each product. Gone are the days where a shampoo simply cleanses the hair. Formulating high end hair care products can be a challenge. What sparks the inspiration allowing us to create the innovation customers are seeking? How do we make our brands successful and keep employers satisfied? What’s behind a “hero” product? Joe will explore some ways in which through chemistry, and a bit of imagination and creativity, you can use available raw materials to create innovative hair products. Bio- Dr. Joseph J. Cincotta received his Ph.D. in Organic Chemistry in 1983 from the City University of New York. His career now spans over four decades spent in the personal care industry using his research background and chemical knowledge to devise and formulate innovative new personal care products for both professional and retail markets. Over those years, he has developed over 160 formulations which made hundreds of millions of dollars for his employers and several of his formulas won prestigious awards from major Beuty magazines and CEW. In 2003, Dr. Cincotta created his own LLC (JJC Creative Consulting) in his home state of Connecticut. His company specializes in formulating professional and retail formulations for a variety of personal care applications where his chemical knowledge and skill of formulating consumer products is essential. In addition to his product development services, Dr. Cincotta enjoys sharing his chemical knowledge and currently holds the position of adjunct assistant professor with the Connecticut State University system. He teaches General Chemistry to students interested in entering the nursing profession at a local college. Dr. Cincotta's goal in all his new product development work is to create products that supersede those products presently available to the targeted marketplace. In some cases working with innovative marketing groups to create new categories of products. Dr. Cincotta holds three patents, is an expert advisor for Conde Nast magazine group in the area of personal care products and has published several technical articles in industry journals throughout his career. Dr. Cincotta currently holds a position as R&D director at Federici Brands, LLC in Wilton, CT and formulates products for their award-winning Color Wow haircare line and Timebomb anti-aging skincare line. He is also the personal care application manager for J-Tech Sales, LLC, a distributor of HI&I and personal care raw materials. He also has a small group of start-ups and established companies for whom he develops formulas. Please join us on Tuesday, January 16th, for a talk by Jim Hayward from DNA Sciences. We have known that DNA is the curator of our biology since the 1940’s, long before Watson and Crick proved the structure accommodated codons and self-replication. Synthetic biology, moving so quickly that even the field’s oxymoronic name lacks clear definition, now permits the reading and writing of DNA sequences so quickly that FDA has approved the personalized creation of immunotherapies to fight cancers with tumor content recombined in humoral cells enabling natural killer cells to attack the tumor so aggressively that is sometime eradicated in hours. That same approach can be used to generate short DNA sequences (less than 200 base pairs), that are non-functional-by-design, but that contain content indicating an ingredient has been organically farmed, or sustainably produced, or manufactured ethically, while identifying their point of origin, without the benefit of forced human labor. These tags are being used as GRAS indicators of authenticity in pharmaceutics, and can be identified at every node in the supply chain from API (Active Pharmaceutic Ingredient) to the finished drug passed to the consumer. Uncanny sensitivity to detection allows the use of DNA tags at concentrations often approaching 1 part per trillion (PPT), meaning that costs, impact of form or function and on manufacturing processes are minimal. The technology has been commercially scaled to millions of pounds per year, in the complex ecosystems of textile and fertilizer manufacture. On-site rapid testing methods, framed within a blockchain-ready cloud based IT framework, trace and track the product from raw material to consumer goods with data available go everyone in the supply chain. These short fragments contain encrypted content that serves as forensic proof of authenticity that has been recognized by courts in over 115 trials of the provenance of cash stolen from ATM machines. The Department of Defense orchestrated a “Red Team Challenge” and proved that SigNature Molecular Tags can not be copied, securing supply chains from counterfeiters. In personal care, DNA tags can be used to verify the provenance of raw ingredients, ensure the authenticity of ingredients and finished goods, ensure certain ingredients are organically or sustainably sourced, prove site of manufacture, ensure the use of genuine packaging components, and to prevent the copying of serialized codes. It is possible to analyze a “Product Genome” in a single test that would validate the all the ingredient content of Personal Care finished goods. Dr. Jim Hayward is Chairman, President and CEO of Applied DNA Sciences, a public biotechnology that uses DNA tags to protect consumers, clients and governments against crime. With over 25 years of experience in the biotechnology and life sciences industries, Dr. Hayward is leading the charge using DNA to ensure the authenticity of products and the protection of global supply chains from counterfeiting and diversion. Patented and applied in over a billion products throughout the world, the Company’s SigNature® DNA markers are unique, botanical, “green” DNA sequences that can help preserve the quality and integrity of industries from pharmaceutics to the military. The company was awarded “Innovation of the Year” by Popular Science Magazine in 2014. Dr. Hayward received his bachelor’s degree in Biology and Chemistry from the State University of New York at Oneonta 1976, his Ph.D. in Molecular Biology from the State University of New York at Stony Brook in 1983, and an honorary Doctor of Science from that same institution in 2000. Jim was one of the founding principals and research director of Europe's first liposome company, Biocompatibles Ltd. From 1984 to 1989, he was responsible for product development at Esteé Lauder Companies. He also served or served on the Boards of the Stony Brook Foundation, the Research Foundation of the State of New York, Long Island Life Sciences Initiative, and the Ward Melville Heritage Foundation, the LIA, the Regents Advisory Council and several corporate boards. Among his honors, Dr. Hayward has been twice named “Entrepreneur of the Year;” in 2002 by Inc. Magazine and in 2009 by the Long Island Technology Hall of Fame and he received the David Award by Networking Magazine in 2014. He is the recipient of the first “Helix Award” from the International Biotechnology Organization. Please join us on Tuesday, November 14th to learn about extrinsic and intrinsic factors influencing skin aging from Laurie B. Joseph, Ph.D. from the Ernest Mario School of Pharmacy at Rutgers University. Thank you to Brenntag Specialties for sponsoring our last meeting of the year! Abstract- Your skin is considered the window to your soul. It is a protective barrier which is constantly under chemical and physical attack from the environment. As we age the skin loses its ability to ward off toxins from entering our bodies. In this presentation I will discuss some of the factors which affect skin health as we age. Your skin health is governed by intrinsic as well as extrinsic factors. As we age intrinsic changes in our skin structure may lead to dehydration, sagging, loss of hypodermis and dysfunction of the skin and its skin appendages. In this presentation we will discuss how aging may induce modifications of intrinsic skin factors such as the microbiome and immune function. We will examine the effects of extrinsic toxins, such as pesticides, household and personal care products and the sun, as well as drugs on the skin. Finally we will explore how changes in extrinsic and intrinsic factors may lead to structural damage and skin dysfunction. Bio- Dr. Laurie Joseph has over 35 years of experience in toxicology having developed clinical and in vitro human models as well as in vivo animal models to understand the fundamentals of environmental damage and cellular response. She received a B.S. in geology from The George Washington University, M.S. and Ph.D. from The Ohio State University and post-doctoral training at Yale University and the University Connecticut Medical Center. For the past 30 years, she been involved in the study of wound repair in skin and vascular tissue including over 15 years of experience in the skin care industry. Laurie is a member of numerous organizations including Personal Care Product Council biotech and chemistry subcommittees of the International Nomenclature Cosmetic Ingredient Committee, Society of Cosmetic Chemists, and an associate member of the American Academy of Dermatology. Prior to coming to Rutgers University, she was the senior skin biologist for Croda Inc. (USA), a world leader in specialty chemicals for personal care, pharmaceutical, home, and industrial use. Laurie has over 35 peer reviewed publications and has been an investigator on numerous nationally funded and intermural awards. Currently, she is faculty in the Ernest Mario School of Pharmacy at Rutgers University developing in vivo, in vitro, and clinical models of skin wound repair and preparation of topical formulations for the Rutgers/ UMDNJ CounterACT Center for Excellence Pharmaceutics and Chemistry Core active pharmaceutical ingredients group. Gallup research proves that people succeed when they focus on what they do best. By identifying what your talents are, you can find the best way to go about accomplishing your work. Basically, you get to stop trying to be what you are not, and start being what you are. Play to your strengths, mitigate your weakness. When you are engaged in your strengths, you will naturally perform better, and you will feel more energized and fulfilled while doing it. That will improve your level of engagement at work, leading to higher employee engagement for the organization. StrengthsFinder done in a group setting is a fantastic way to find this information out. Gain self-awareness * Develop personal leadership skills and capabilities * Practice advice on communication challenges and ways to successfully work with others * Learn how to capitalize and build upon your greatest talents to create strengths that will enhance all aspects of your life * Learn the language of strengths as well as your top themes and themes of others * Maximize strengths everyday with yourself and others * Strengths Finder Assessment * A comprehensive Strengths Discovery and Action-Planning Guide. A highly sought-after business expert and the co-author of You Did What? The Biggest Mistakes Professionals Make, currently in its fifth edition. The second book in the series, You Said What?, was released in 2012, with a follow-up Enhancing Your Executive Edge: How to Develop the Skills to Lead and Succeed published in 2014. A natural-born problem solver, Prestonuses her own positive attitude and perception to foster relationships and help others do the same. Her ultimate goal is helping others become their best selves, whether it's at work or in their personal lives. She hopes to convey the idea that presence is the ultimate precursor to promotion. Preston spent over 10 years with Calvin Klein Cosmetics, eventually taking her expertise to run workshops for Shiseido, NARS, La Prairie, Moet Hennessy USA, Johnson & Johnson, Sanofi, and Credit Suisse. Please join us on Tuesday, September 19th to learn about surfactants from Steve O'Connor of Innospec. Also, a big thank you to Innospec for sponsoring this meeting! Personal cleansing products based on sulfate free chemistries are quickly emerging as one of the fastest growing areas in the personal care marketplace. While the debate continues in the scientific community whether sulfates are truly harmful, the consumer image of these ingredients is continually growing more negative. This has stimulated the introduction of a flood of new "sulfate free" products throughout the world. Formulating these types of products presents a real challenge to even the most experienced formulators as the alternatives to sulfates are usually more expensive and do not perform as well. In addition formulators often have to add complex polymer packages to achieve the desired aesthetic and conditioning properties commonly expected by the consumer. The purpose of this workshop is to review the state of the "sulfate free" market and identify alternative chemistries and formulation techniques to meet these challenges. Specific topics to be covered include the following subject areas. Additional topics will also be covered per specific inquiries from the attendees. Biography - Steve O'Connor is the Director of Technology, Americas for the Personal Care business of Innospec Performance Chemicals. He has a PhD in Chemical Engineering from the University of Cincinnati and during his accomplished research career has worked at Unilever, Clariant, and Lubrizol in addition to Innospec. Steve has worked in the personal care industry for over 17 years as a research scientist, technical sales representative and technical group leader. Join the CTSCC with your family at this summer's CTSCC Family Day. This event will include park admission for each member of your group, free parking, free unlimited soda throughout the park and a Buffet Lunch at the Lakeside Catering Pavilion. Lake Compounce, part of the Palace Entertainment family of parks, is New England's Family Theme Park . It is the oldest, continuously-operating amusement park in North America, having its genesis more than 165 years ago in 1846! The park has had millions invested in rides and attractions during the recent years, and today is more beautiful than ever. Among other famous attractions, Lake Compounce is home to Boulder Dash, which has been voted the world’s #1 wooden roller coaster, as well as Connecticut’s largest water park. At “The Lake,” there are more rides, attractions, dining options, and FUN than anyone can experience in just one day...whether you’re young or just young at heart. Join us Tuesday, April 25, 2016 for a fun filled day of golf at a new location for 2017 - at the Foxwoods Casino's Lake of Isles Golf Club in North Stonington, CT! Discounted hotel rooms are available until Friday, March 31st. Reserve with Dan O'Neill for $129 rate. Please join us April 18, at the Norwalk Inn in Norwalk CT to learn about preservation in personal care from Steven Schnittger, VP Global Microbiology and Fermentation at Estee Lauder. Steve is presently the Vice President – Global Microbiology and Fermentation- R&D for the Estee Lauder Companies. He has been with Estee for over 20 years all within the Microbiology and Bio-Ferm Lab. Primary responsibilities are in the area of cosmetic preservation and advising the chemist on new formulations. Other responsibilities include developing new active ingredients through fermentation, advising manufacturing on cleaning and sanitization procedures and assisting quality assurance and manufacturing when problems arise. Works closely with the safety group in finding the balance between safety and preservation. Before coming to Estee Lauder, Steve worked for Ralston Purina Company and attended school at the University of Tulsa majoring in microbiology. He is past - chairman of the CTFA Microbiology Committee, active member of the U.S. TAG / ISO committee for Cosmetic Microbiology, member of the American Society of Microbiology, Society of Cosmetic Chemists and the Institute of Food Technology. Holds numerous patents in cosmetic science, fermentation and frequently is asked to give presentations on preservation, risk assessment and fermentation. Please join us on March 21, 2017 to learn about the human skin microbiome from Dr. Julia Oh from the Jackson Laboratory for Genome Medicine. This course will provide an overview of the microbiome, which is the collective genome of the microbial communities that live in and on our bodies. What is the role of the microbiome in human health? What happens when the microbiome is disrupted? How can a metagenomics approach advance the study of the microbiome? What makes individuals susceptible to colonization and subsequent infection? Are there unique issues related to healthcare settings? This course will address these questions and more. Dr. Julia Oh is an Assistant Professor at the Jackson Laboratory for Genome Medicine and a microbiome expert. Her current research focuses on technologies to explore and engineer the human microbiome, the communties of bacteria, viruses, and fungi that inhabit all areas of the human body and play an integra role in human health. She has signficant training in genomics, genetics, and technology development, completing postdoctoral training at the National Human Genome Research Institute, her Ph.D. in genetics at Stanford Univeristy under renowned geneticist and technologist Ronald Davis, and her B.A. from Harvard University at the FAS Center for Systems Biology. Join us for our first meeting of 2017! On January 17, Paul Slavashevich from Symrise will be discussing how pollution affects our skin and hair. Pollution is a rapidly growing concern for people around the world. Scientists are constantly bombarding us with facts on how it affects the environment and our health. Since we're all cosmetic scientists, we will look at how pollution affects our skin and hair. We'll look into which genes are upregulated in response to pollution particles and what types of damage they lead to. We will also look at what effects pollution has on the hair. Join us for our last meeting of 2016! We will be hosting a social night at Dinosaur BBQ in Stamford, CT. Along with recognizing the passing of one of our founders, Don Feliciano, we will also be installing our new officers. The consumer market has evolved over time along with the global green movement. Today's consumers are conscientious buyers who do not simply buy into a green image, they want to see proof that manufacturers are engaged in business practices that would ensure a common, sustainable future for all, in both economical and ecological sense. In short, they demand reassurance and actual substantiation of sustainability. This course will provide an overview of this socio-economic trending and how it is shaping the behavior and practices of both consumers and manufacturers alike in cosmetic/personal care product development. Wen Schroeder is the founder and president of SEKI Cosmeticals. She is a key expert for the ASEAN-EU Programme for Regional Integration Support in cosmetic and pharmaceutical GMP and testing. Ms. Schroeder is a scientific advisor to Taiwan External Trade Development Council and has served for the Personal Care Products Council. She is active in the Society of Cosmetic Chemists and the Regulatory Affairs Professional Society. With 20+ years of industrial experience, 30 US patents and numerous publications, Ms. Schroeder is an internationally recognized lecturer on cosmetic science and regulatory affairs. Her lecture topics cover a wide range of areas from chemical management, biocide regulations to food, drug and cosmetic law. Ms. Schroeder is the editor of Sustainable Cosmetic Product Development by Allured Books, as the first comprehensive technical reference work in this field for the cosmetic and personal care industry. Join us Tuesday, September 20 at the Norwalk Inn. Don Rick from Alzo will be discussing esters. Esters are an important class of materials in the cosmetic chemist's toolbox. Given the larger variety of esters available, chemists often ask "which ester should I use for my application?" We have characterized esters based on physical properties, compatibility and performance to help guide choosing the right ester for the right application - ultimately creating a structure function relationship. Once this structure function relationship is known, the behavior of esters is very predictable. The properties and performance of esters will be discussed - specifically linking performance based on measurements (including polarity, viscosity, and spreadability) to the chemistry of the ester. Donald Rick has been in the Cosmetic, Personal Care, and OTC industry for over 20 years in a variety of R&D roles encompassing basic & applied research and product development. He has worked for Unilever Research, L'Oreal USA, Pfizer Consumer Healthcare, Johnson & Johnson, Nice-Pak Products, and is currently Technical Director for Alzo International. Join us Monday, April 25, 2016 for a fun filled day of golf at Great River Golf Club in Milford, CT!! Please contact Dan O'Neill with any questions. April 19, 2016 Mindy Goldstein will talk about anti-aging and IR - An anti-aging cream that expands sun care to help protect against infrared damage. The next generation of skincare. In the 1980’s, research lead to the finding that Infrared radiation (IR) may contribute to premature skin aging due to damage that it caused in the skin. Initially it was believed that IR would not penetrate the skin but it has since been shown that IRA, wavelengths 760-1440 nm, penetrates the skin as deeply as UVA. Continuing research has shown that the skin damage that IRA causes is similar to both UVA and UVB skin damage and it may actually increase the damage done by UVA and UVB radiation. There is some belief that IRA plays an important role in dermal inflammation, photoaging and cancer formation. Thus considering the mounting evidence on IR skin damage, suncare products that filter the UVA and UVB rays may be insufficient since they do not block all the damaging rays emitted from the sun. It would be in the consumer’s best interest to consider a new perspective on IR radiation and that protection from IR should be incorporated into modern suncare products. A number of In vitro, Ex vivo and In vivo methods have been used to look at the protection from the damaging effects of IR radiation. This presentation will look at the testing of an anti-aging formula that extends sun protection to include protection against infrared radition using a new In vivo assay. The results of the testing will show that it is possible to measure the erythema caused by infrared radiation and the statistically significant reduction in erythema by bio-active ingredients targeting the underlying damage caused by IR. Dr. Goldstein received her B.S. with honors in Biochemistry, M.S. in Pathology and Ph.D. in Basic Medical Sciences from New York University in the area of UV and gamma radiation damage to DNA and DNA repair. She has been credited with more than eleven publications in scientific journals and books and has been awarded patents in the area of raw materials, encapsulation and controlled release. Dr. Goldstein has been in the cosmetic industry since 1987 and is currently consulting for companies within the personal care, pharmaceutical and nutraceutical industries. Most recently she was Vice President of Research & Development and Product Development for Atlantic Coast Media Group, Jersey City. Previously, Dr. Goldstein served as Executive Director, Research & Development, for The Estee Lauder Companies, Melville, NY. Her responsibilities included supplier contact for REACH activities, internal commercialization of new treatment actives for all of the Estee Lauder brands, troubleshooting formulation issues with active materials, encapsulation technology and identifying new platform technologies. She has also held Directors positions in R & D at Bath & Body Works, Lipo Chemicals and Collaborative Laboratories. She is an active member of the Society of Cosmetic Chemists and served as the Chair of the Long Island Chapter in 1994, the 1998 and 2009 Chair of the Committee on Scientific Affairs and the 2002 National President of the Society of Cosmetic Chemists. Dr. Goldstein was editor twice as well as a reviewer for the Journal of Cosmetic Science. She is a member of numerous professional and scientific organizations including the PCPC Nomenclature Committee where she is chair of the subcommittee on biotechnology, botanicals and ferments. Dr. Goldstein also serves as an advisor to Cosmetic and Toiletries magazine. 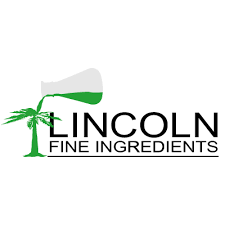 March 15, 2016 Joyce Hilderbrant from Carruba will be discussing fragrance chemistry. We will be at Marisa's Ristorante in Trumbull, CT.
A conversation about fragrance influence and impact on product performance. Explore the basic construction of fragrances and their general categories. Discussion on fragrance performance, attributes in products and how they function. Gain further understanding of what elements impact fragrance design. Discover how a fragrance can communicate and validate the product’s functionality. Review how the product application impacts the construction of a fragrance. Best ways to evaluate and present fragrances in product samples. Explore stability challenges. Joyce is a fragrance and cosmetic industry professional with more than20 years experience on the fragrance supplier and manufacturing sides of the cosmetics, fragrance and toiletries industries. Her skills range from olfactive expertise to product development and marketing acumen. She possesses a unique perspective as having worked in a variety of roles in all aspects of our industry. She has held key leadership positions at companies such as Avon, Takasago, Beauty Avenues, and Belmay. Joyce holds a BS in Chemistry and a MA in Cosmetic Science. She currently is Vice-President of Sales and Marketing at Carrubba Inc. who specializes in the creation of custom fragrances, flavors, botanical extracts, and natural deodorants for leading manufacturers around the world. January Meeting - AP, Deo or Both? Join us for our first meeting of the new year, January 19th 2016 to learn about AP/Deo from Mark Naser of Avon Products. Mark Naser will discuss the principles and modes of action of deodorants and antiperspirants. This will include a review of the physiology, function and anatomy of sweat glands, and the cause of underarm malodor. He will review the FDA antiperspirant monograph, US and global regulatory considerations, antiperspirant actives, and the aspects of safety and efficacy testing. Mark Naser has been in the chemical industry for over 30 years. His past experience includes auto paint pigments, textile auxiliaries, laundry products and personal care products. He is currently a principal scientist with Avon Products where he leads the FootWorks and Personal Care AP/Deo brands. He has lectured internally on topics such as The HLB system, Basics of Surfactants, Fundamentals of AP/Deos and Aerosol Formulation. Join us November 17, 2015 at Unilever for a presentation by Dale Carnegie Training of Western Connecticut - "Is Your Net Really Working?" Tips and advice on making your own good luck, creating opportunity and the benefits of being positive and how it can result in grater success both personally and in business. We will be in the Concepts building, park at 50 Commerce Drive. Preregister by emailing Cynthia. Cost is $45 for members, $50 for non-members and $35 for unemployed. The CTSCC Chapter will be hosting the SCC Continuing Education Course, "Organic Chemistry for Cosmetic Chemists" by Tony O'Lenick. Organic Chemistry is a course everyone remembers taking, but many forget the content. This course is designed to review organic chemistry, but to make it relevant to the cosmetic industry. The chemistry of the reactions, including byproducts and residual raw materials, affect the formulations in which raw materials are used. Please register below, or directly with Cynthia Valovich. Participants will park in Parking Lot K-3 (off North Benson Road), and the event will take place in the Oak Room which is in the Barone Campus Center. There will be signs directing attendees from the campus entrance. Registered participants will be sent a parking pass in advance. Last day to vote for your 2016 CTSCC Board! Vote using the link emailed to you. Previously, Romanowski worked for Alberto Culver, serving as a senior project leader for hair care innovation. He has been an active member of the Society of Cosmetic Chemists (SCC), and is currently the Area II National Director. In addition, he has served in various positions within the Midwest Chapter of the SCC, including chapter chair.